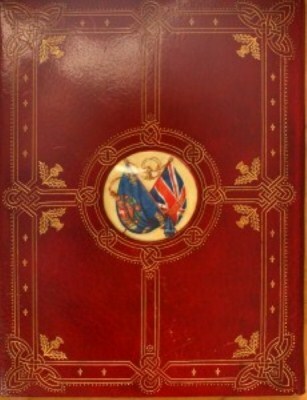 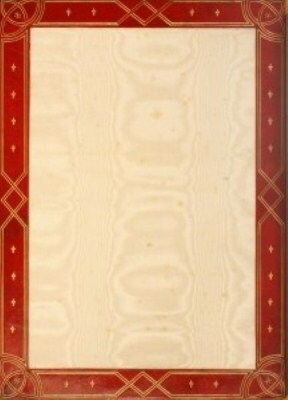 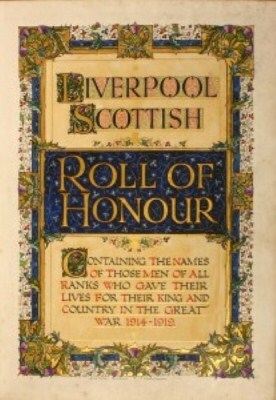 This fine book, bound in gilt-tooled red morocco leather is placed in a bronze glazed compartment in the Liverpool Scottish First World War Memorial now located in St George's Hall. 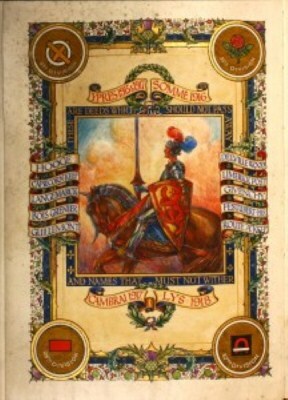 On the right is a picture of an opening of the book showing the painted frontispiece and the illuminated title page. 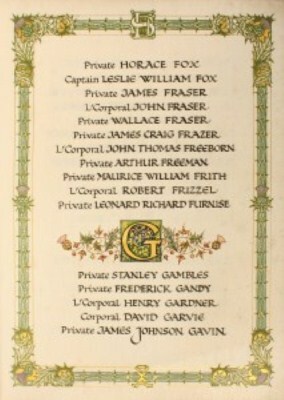 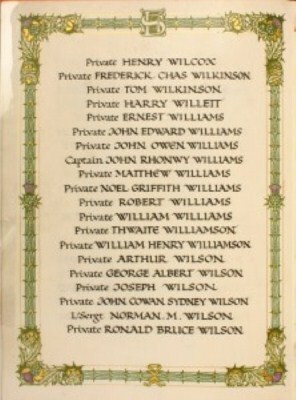 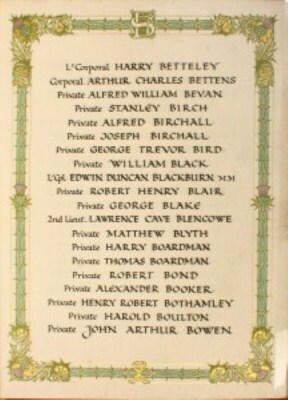 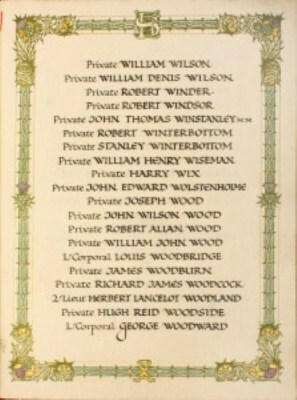 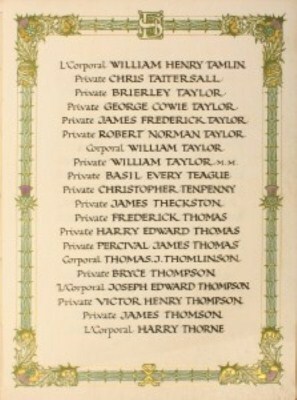 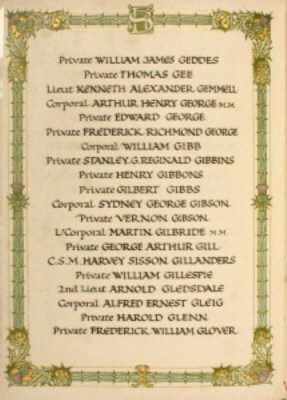 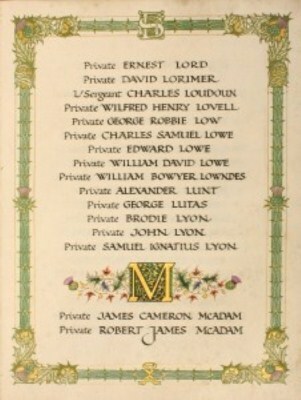 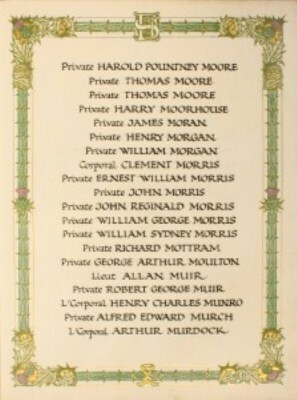 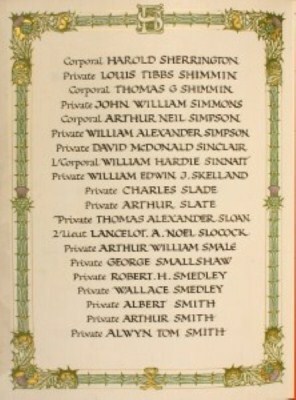 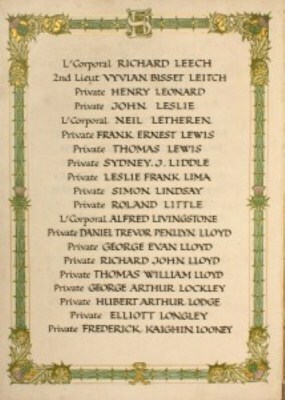 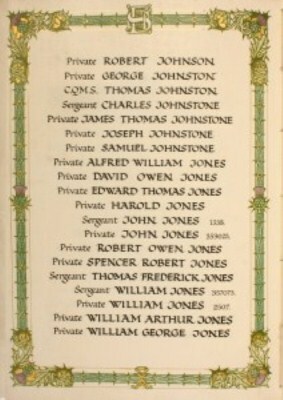 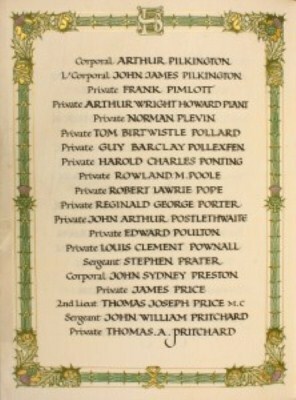 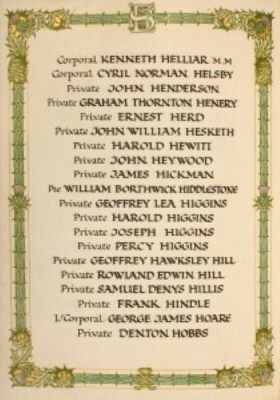 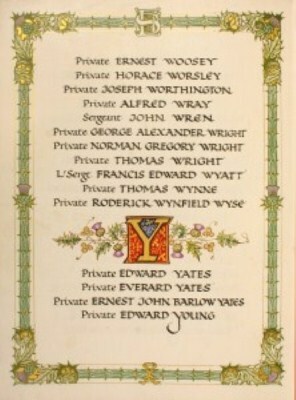 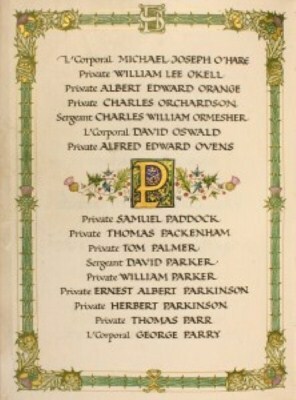 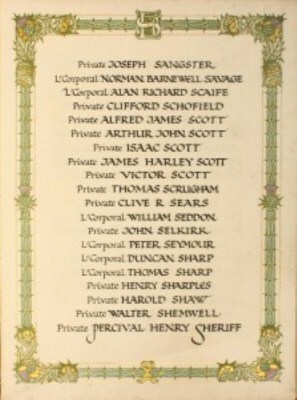 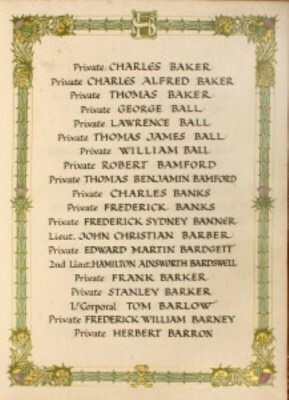 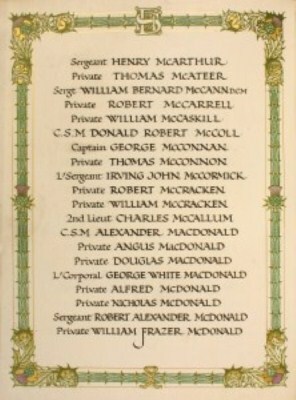 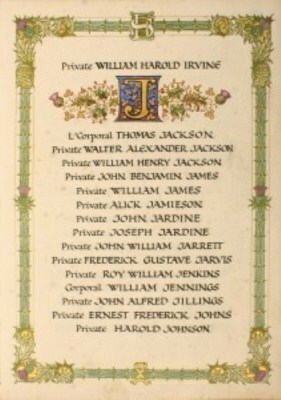 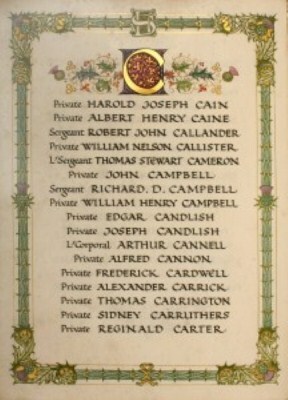 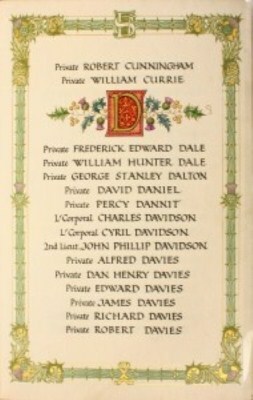 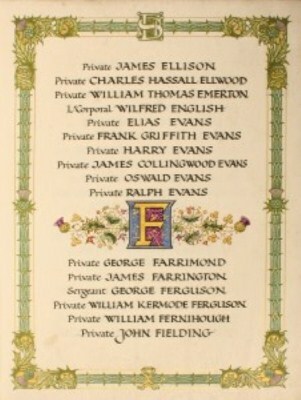 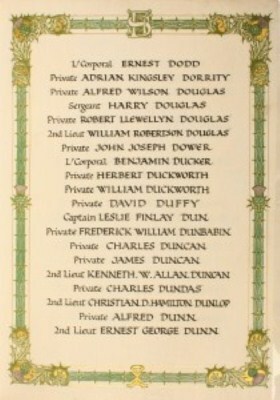 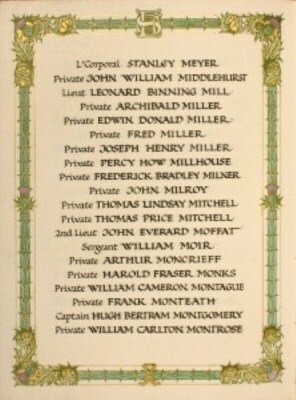 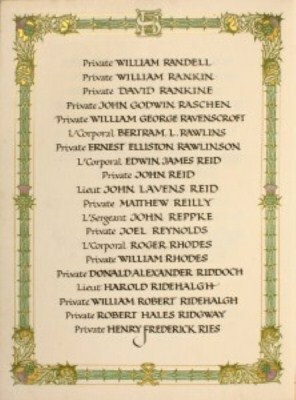 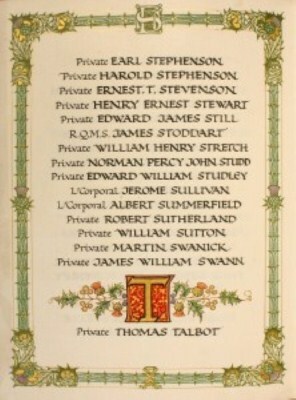 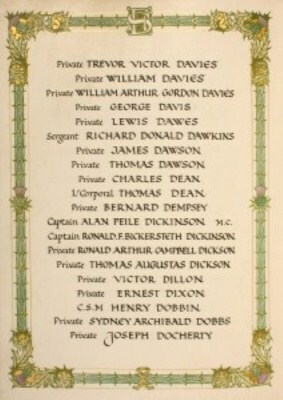 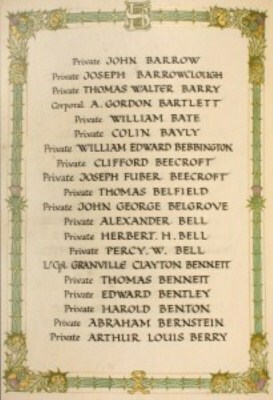 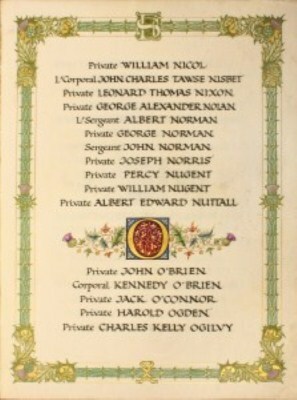 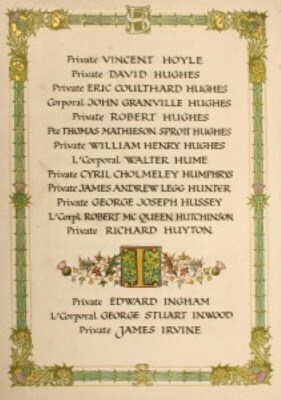 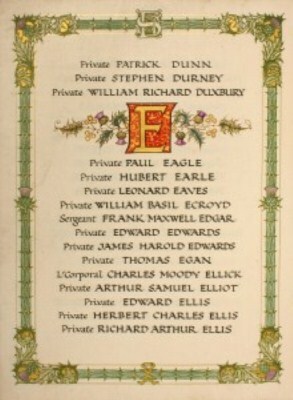 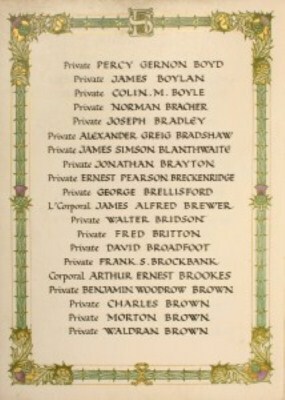 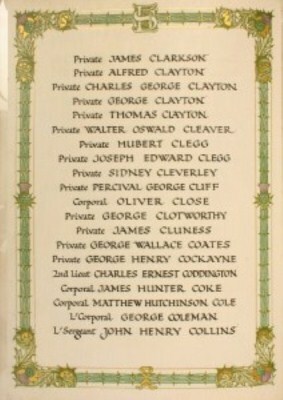 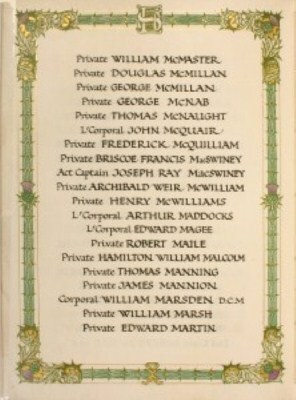 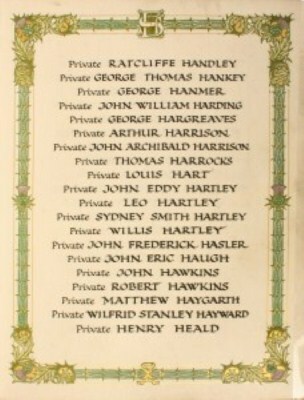 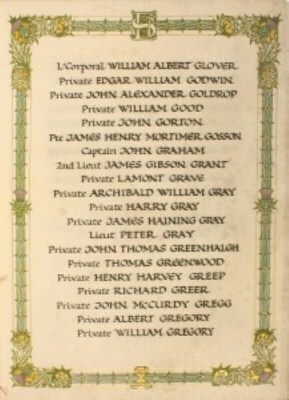 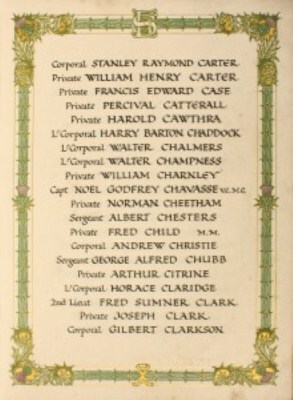 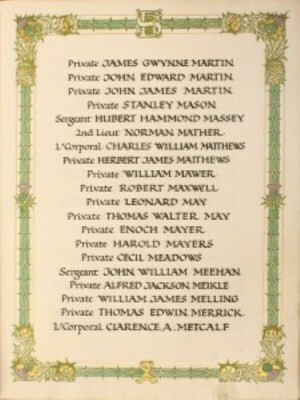 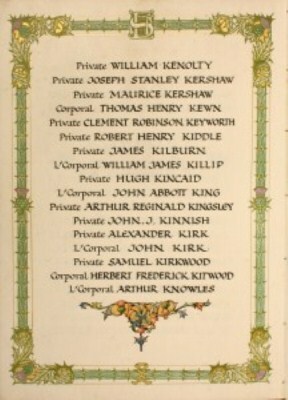 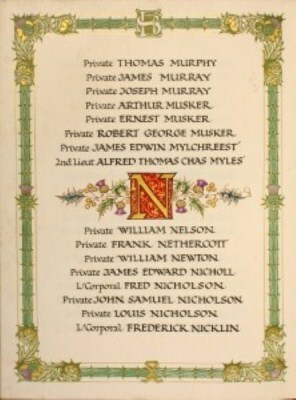 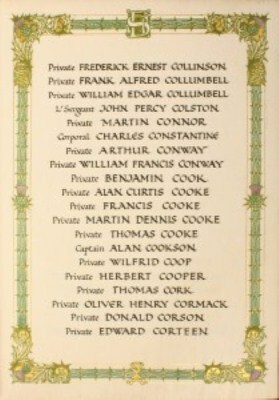 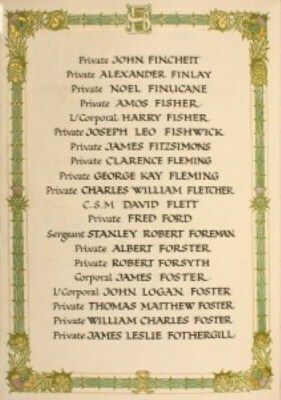 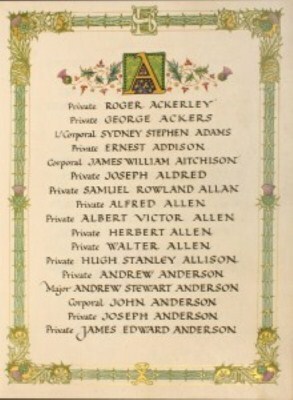 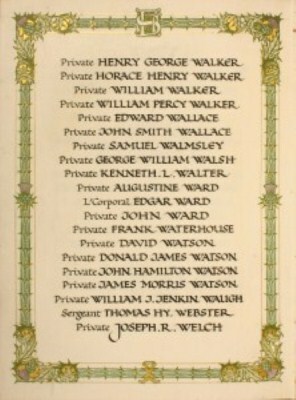 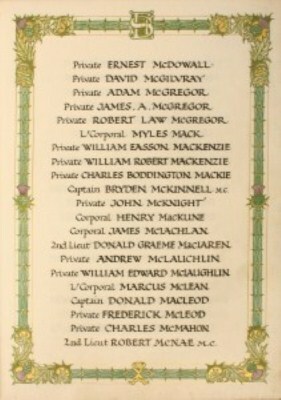 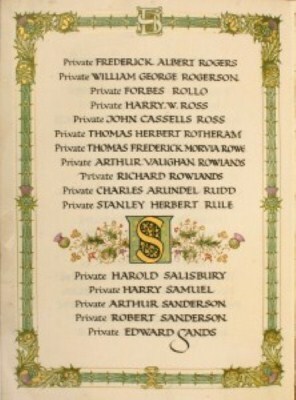 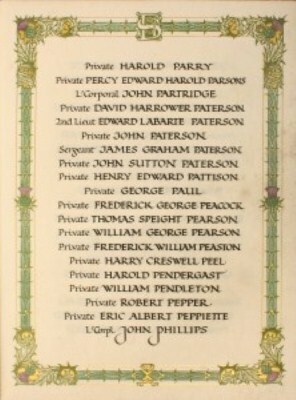 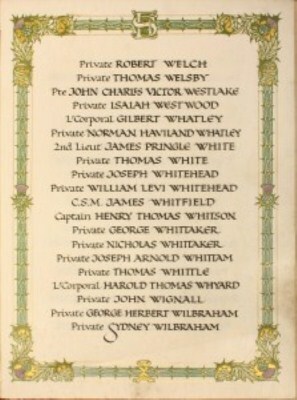 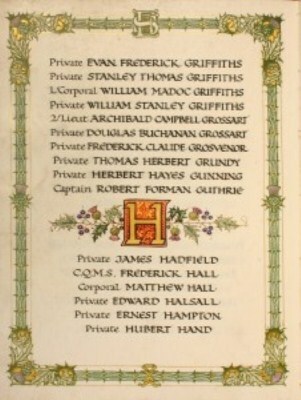 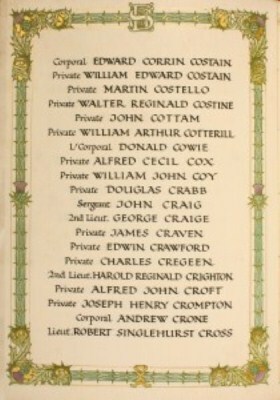 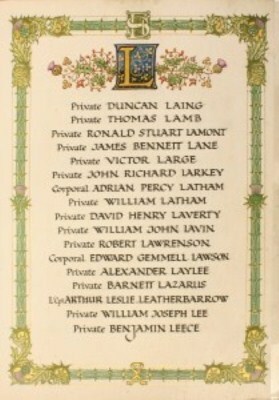 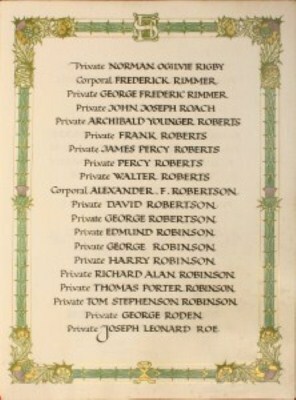 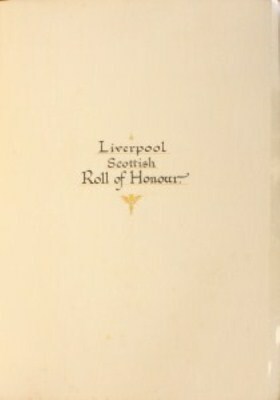 A facsimile copy (one of the original monochrome facsimiles produced for members of the Liverpool Scottish and the families of those listed in the Roll of Honour) should be available at the reception desk at St George's Hall for consultation and inspection. 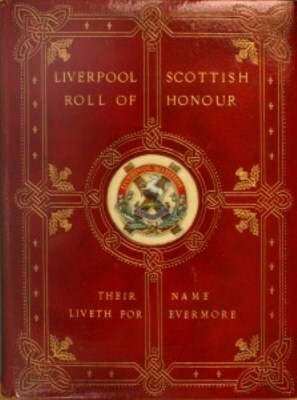 However, this is controlled by the City of Liverpool and the Liverpool Scottish Regimental Museum Trust cannot be responsible the availability of the book. 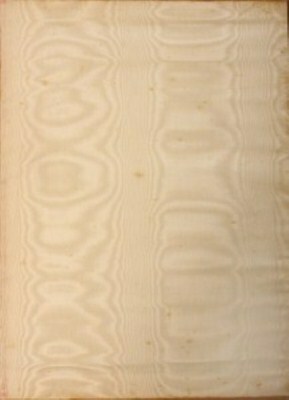 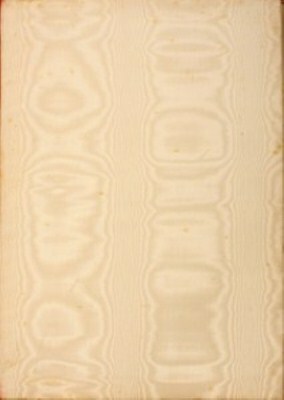 During the winter 2010/spring 2011 the book was removed for photography and was replaced by one of the facsimile copies in monochrome. 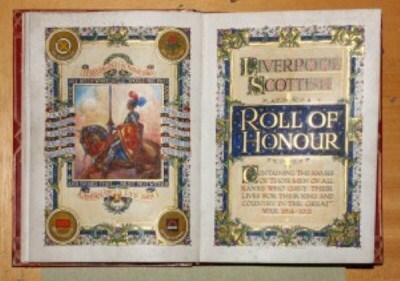 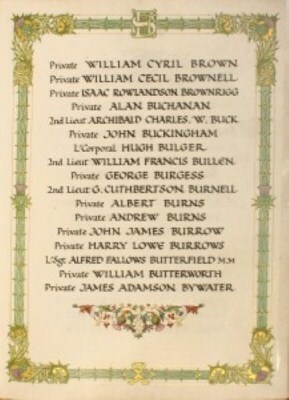 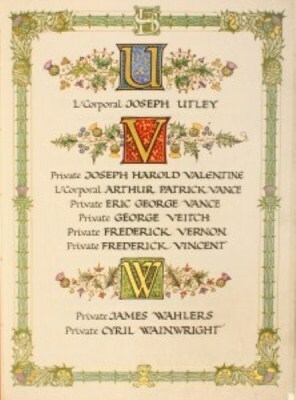 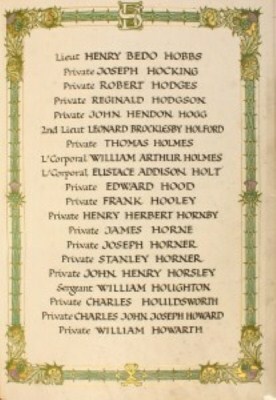 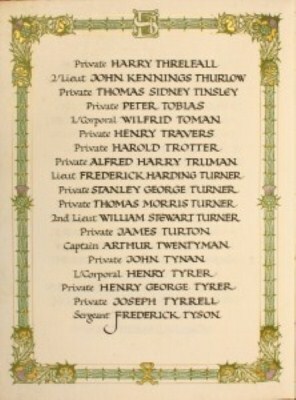 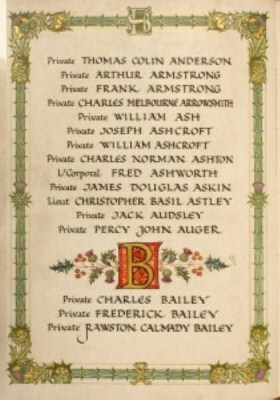 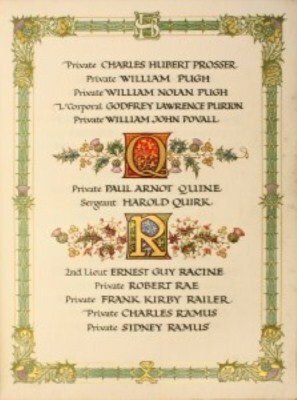 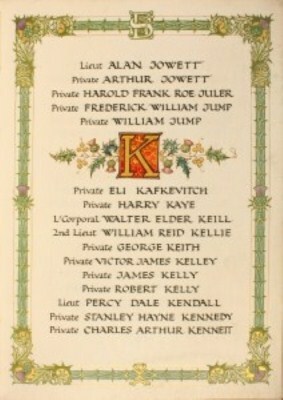 Photographs have been taken of the entire book by Major Keith Hastie, a Trustee of the Liverpool Scottish Regimental Museum Trust, and they have been placed below . 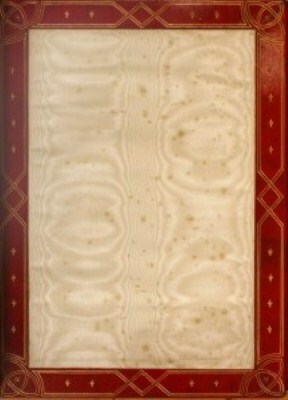 High resolution images would be available to individuals on application for a modest charge.